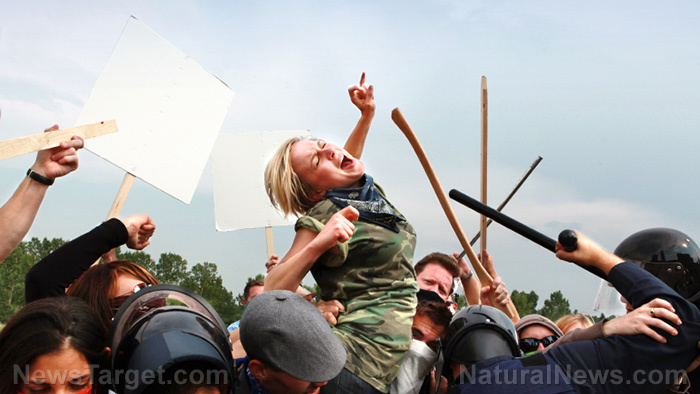 (Natural News) There could be a reason why so many Trump-hating “resisters” are angry and belligerent all the time, beyond just the fact that they don’t like the president. If the perspective of Lowri Dowthwaite, a psychologist from the University of Central Lancashire in the United Kingdom, holds any merit, then the perpetual bitterness of these crybaby “snowflakes” may actually stem from the fact that many of them have never actually had to endure any sort of real hardship or adversity in their lives. According to Dowthwaite, difficult life experiences are what build character and “toughen us up” as humans. Without facing challenges, people wouldn’t have much of an appreciation for the good times they’re afforded in life. Always being coddled also creates a sense of entitlement that becomes easily “triggered” whenever things don’t happen the way one would like – such as Donald Trump being elected president rather than Hillary Clinton. The only hope for leftists: Abandon your hedonism and grow up already! Dowthwaite stresses the importance of responding to one’s circumstances, no matter how challenging, in a calm, collected, and reasoned way. Even when something goes wrong, or doesn’t turn out as expected, it’s important to rise above it and press on with purpose – something that Antifa terrorists and other leftist extremists have demonstrated an absolute inability to comprehend, let alone apply in their pathetic little lives. Even the mainstream media is guilty of such entitlement behavior, as it drones on and on and on about fake Russian conspiracy theories, “girtherism,” and other anti-Trump narratives that represent little more than temper tantrums from immature little babies who can’t get over the fact that Hillary Clinton lost the presidential election. There may not be any hope for such people, many of whom are apparently committed to remaining in a perpetual state of discontentment and angst. Should some of them eventually wake up to their ridiculous behavior, however, Dowthwaite presents an alternative to the mindlessness of hedonism, which so plagues the modern leftist mindset. It’s probably too much to ask of these people, but in essence they would need to drop the identity politics, virtue signaling, fake outrage, and political correctness – all of which stem from selfish, attention-seeking, manipulative motives – and instead learn how to consider the needs from a position of reason, common sense, and empathy. Doing this also requires leaving one’s echo chamber for at least as long as it takes to break the spell of me-centric, leftist propaganda.